Gershow Recycling recently donated a wrecked car in support of the Town of Huntington’s Anti-Drunk and Distracted Driving Campaign. Presented by Mark Cuthbertson, Councilman, Town of Huntington, and the Huntington Town Board, the program reminds residents of the dangers of drunk or distracted driving during the holidays. 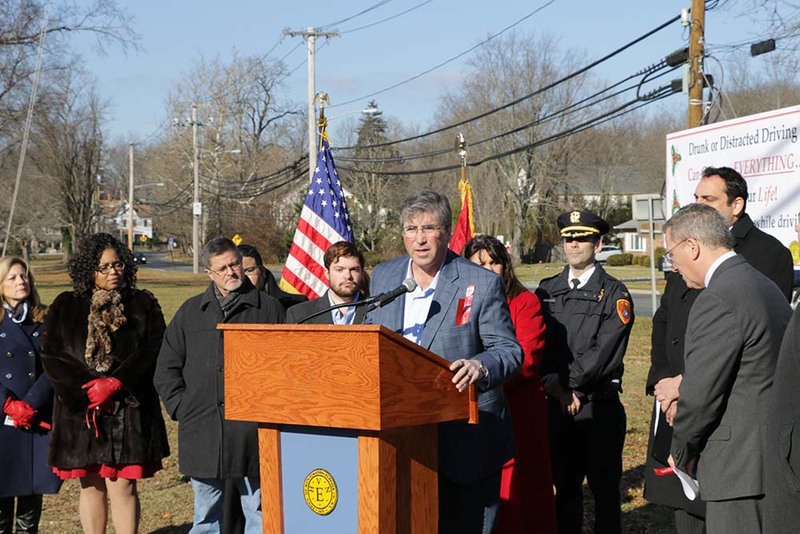 Kevin Gershowitz, President, Gershow Recycling, took part in a press conference that was held on December 10, along with local elected officials, law enforcement personnel and a local family who lost a loved one to a drunk driver. They urged everyone not to get behind the wheel if they have been drinking.